Exeter Trial Pt 2 "Battle of Meerhay"
Approaching our allocated 3.08 am, I peered around the emptying museum shop, less bodies on the floor now and a particular atmosphere promoted by pale, gaunt, looking faces. Perhaps this should be an audition for Sean Of the Dead! It is amazing how the pulse quickens as we anticipate the call "158" to collect our card and depart. I seriously felt that "I am going to have to dig deep" to continue to successfully read navigation notes and stay alert for the next 12 or more hours. Here it is, 158 depart when ready! Walking to the car through the rain I noticed an elderly VMCC BMW single and gave humbling thought for an elderly rider who was just about to set out, many hours after the rest of the bikes. What spirit to set out in these conditions when so many would be happy to sit back and reflect! And off through the rain to Meerhay! Trials cars with a tiny window and low seating and flying spray, are not the best for night time road work in pouring rain. This was certainly illustrated dramatically as we plunged in to a huge unseen flood at 45 to 50 mph. A wall of water enveloped us totally, not overly worried I thought that it is only a brief shock and in a second we will be out... no not so, grips tightened as the time and water seemed to stretch far beyond a reasonable period, now we are concerned, Jeremy doing an excellent driving task keeping us straight and hoping the road would be following the same route as the little Troll! And of course hoping the cars following us were doing the same. Finally we came out of the aquatic Armageddon, (yes I know bit exaggerated but it was scary). I also realised that the road was edged by 4 or 5 foot high banks either side, I guess these would have kept us in line if Jeremy hadn't! Within minutes we were entering a spluttering Troll into a long green lane drive, very quietly creeping past Meerhay Manor and the Manor cottages. A whispering queue formed, muted voices, rustling and patter of rain on canvas, we could have been camping! I clambered out to reduce the rear tyre pressures to 10 or 15psi. This the start of a ritual of careful removal of the dust cap before being handed from gloved hand to gloved hand in exchange for the on board airline. The consequences of the water now taking effect, as we enter the hold for Meerhay hill test the Troll entered in to a detonating, shuddering misfire before cutting dead, rolling back into a convenient gate to allow those behind us to move into position. Out with a rag and trusty WD 40, we were running again in a moment. All tension building stuff! Finally at the start of our first observed climb, all very friendly with a good morning to the observers and "Off you go when your ready, oh and good luck"..
Jeremy Launched the Troll off the start line as we bolted toward the tunnel vision allowed by our lamps into the murk. What a shock, I was not ready for this, yes the climb was as I had anticipated, but the huge bouldered mud strewn dips and rises were car crunchingly wicked. We lurched and we leapt from grip to grip and smashed against boulder after boulder, not once did Jeremy let off. I flew high out of my seat, I slammed in to my seat, the light picked out wild things in tree tops and pointed down into terrible transmission eating caverns, then for a moment I saw a burning something to my right, thoughts raced through my mind of a hapless competitor standing next to a burning wreck. Crack, another ear splitting metallic sound of destruction somewhere beneath us.... and then it was all over, just like that, Jeremy called "That's it first one down". No suggestion of alarm or concern, he was just calm, bar for a casual remark "That was a bit rough this year"
Our Troll. Thank you to Dave Cook, link will follow in next part. As a footnote, 10 days ago a friend called in my workshop, he mentioned that he was marshalling at Meerhay this year and that as always they had a huge bonfire to warm by (ah! that'll be the "wreck" I saw)! Up until four years ago I lived in an environment that allowed me to participate and sample some of this chaps ideals. The only problem for me was the surrounding area becoming a little less tranquil Wiltshire and a little more high flying hard nosed, city business retreat. I now live in a suburban location that is less inspiring toward building these earthy, homely dwellings yet the people of the community already have this nice easy going, "live and let live" attitude. Old Sarum Airfield near the old "Sarum Castle" is one of my favourite places. It has been a continually active airfield ever since 1917/18. It also played a particularly active part in WWII. Butterflies..... Why do they say "Butterflies" when your stomach feels like it has been starved for a month and yet has a ton of tumbling rocks moving around! Anyway, why have I got butterflies? 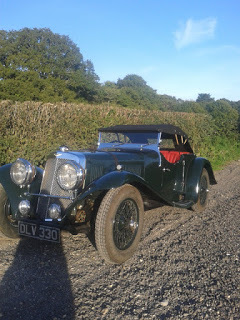 It is simply the hour before we leave to meet up for the MCC 82nd Exeter Trial. Rain? Well yes that was going to be a factor, considering it had pretty much persisted through the week in the south west. Danger? Well no that isn't really a factor any more than a 200mile drive normally would be. Failure? Yes maybe that is some of the reason. Given my reputation in the past for getting lost perhaps that is a very serious problem. And of course failure means I will let someone else down "cos there is no "I" in Team" as they say. Jeremy owns this little Troll T6 Trials special. The car was built in the early 90's although the donor car is a '67 Ford. The engine is a 1600 Ford crossflow, suitably tuned and with twin Webers. A space frame chassis that would be at home on any Lotus Seven or circuit race car, topped off in an aluminium skin all of this contributes to a balanced and lively package, but does it look strong mmmm? 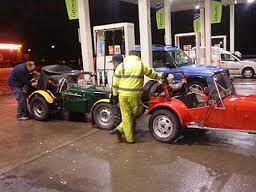 Jeremy had picked me up the Sunday before just to have a quick drive and familiarisation of the car.... did I fit? I always feel a bit uneasy in someone elses car or bike, but this was such an easy car to drive, making me feel a little less uncomfortable. The acceleration is brisk, the fun bit though is the midrange, that is so strong that sometimes I felt I was driving a much bigger car. The midrange coupled with a five speed box really allow this special to be a comfortable "Jack of all Trades". That same midrange almost embarrassed me, as we came through some gentle S bends leaving a 30mph village there was a little mud on the damp road, I thought "well it might" but we are not really accelerating hard..... I was wrong, it did do a little kick out and I was mindful of the short wheelbase and perhaps an inclination to turn turtle rapidly, no worries though a quick opposite twitch on the steering straightened us as if I mean't to do that..... sorry Jeremy (who is ever composed), lesson learned! Finally 7.30 on the Friday night arrived, after squeezing a minimal change of clothes into an allocated space in an oversize army Duffle Bag across the spare wheel rack, we were away. Destination Popham near Winchester. Like a chess game all journeys and adventures seem to go through stages. No matter how much you plan ahead, things always settle in to their own routine. This was no different, no surprises just the comfortable homeliness of the small cockpit and the endless run of cats eyes threading ahead. The Trial has three initial start points, Popham, Plusha and Cirencester. 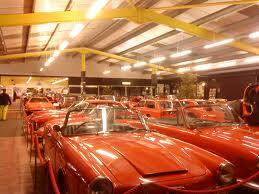 From each of these the groups converge into the main start at the Haynes Museum in Sparkford, near Yeovil, Somerset. Popham for me had memories of aeroplane days where I once saw Lady Bader (the wife of Sir Douglas Bader) sitting at a table surrounded by moustached and Blazered older gentlemen. Quite different on this day, the warm room producing a sauna like effect as we all had multi layer thermals but little space or inclination to remove any layers. At our allotted 10.38 time we were waved out of the car park as No 158, that's 158 minutes plus 30 minutes after the 7.30 start time. (The bikes are allocated the first times, meaning they will really hit a majority of the special tests and hills in the dark!). Then a run down to Sparkford, arriving as some of the bikes are released. The sight that greeted us through the headlights was of a small scale, slightly eccentric, British Dakar, buggies and bikes all bristling with wheels and tyres, tow points and multiple lighting systems. The bikes looked particularly purposeful and gave me just a small pang of envy. Before taking a break we made our way through to the scrutineering and a check of all road legal paperwork. Then to coffee and bacon rolls. With time to spare we had a quick look around the museum. With no offence to the hall of a million and one red cars, we settled down on the viewing seats to grab and bank some minutes of fitful "micro sleeps", just might pay dividends later! Fitful sleeps......yes on account of the raging storms rattling off the tin roof and roller shutter doors....... Did I say I had a a "pang" for the bikes, maybe not, nice comfy Troll sounds good. Outside of the restaurant in the bike park stood a 1991 Enfield Bullet 350 (Indian) named "Peter". I know this bike really well because I was it's second owner, the first being a Vicar from near Salisbury Wiltshire.. hence the name "Peter". This bike was my daily 56 mile ride and saved me enough money to follow another dream. I will always have a real soft spot for this Bullet. However, it's adventures really began when I sold it to a friend who has such a passion for everything in life that each day barely has enough room to do everything. 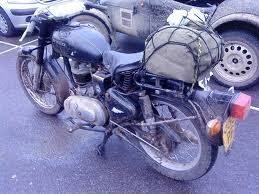 Dan, now an engineering graduate, has ridden this bike in so many epic travels all over Europe and the UK. To say nothing of the time when the bike wrote off a Porsche (which also broke Dan's leg), was stolen and discovered by a determined Dan in a ditch having been burned out. Following another rebuild it was off again, to Brooklands, to Montlhery and beyond, roadside rebuilds all taken in their stride. Appreciating the very traditional side of historical motoring events, Barbour clad Dan has entered with road tyres and very few modifications, other than the neat illuminated "Tupperware box", rolling route card system mounted on the handlebars. I stood and watched Dan set off into the lonely darkness, long after the glow of the rear light and "Tupperware" route box disappeared into the gloom I could hear those ever friendly "wuffle thumps" of the exhaust into the night. I don't think you would get a more simple variable transmission than this. Fitted to a little Bebe Voiturettte from the early 20's, it has a conventional propshaft with a disc attached to the end section. The steel disc is about 18" diameter. In contact with this is a wheel of similar diameter keyed to a transverse shaft. The wheel has a friction lining material attached, this material contacts the disc face and allows the drive to feed through to the transverse shaft which has a sprocket attached, this then drives the sprocket attached to the rear axle. The friction drive pressure is maintained by a strong coil spring loading the rear of the disc, to disconnect the drive the spring pressure is relaxed. The clever bit is the fact that by moving the transverse wheel along the disc surface, a seamless ratio change can be achieved. I imagine that slippage may be a problem however given the right circumstances we see that brake and clutch material is capable of transmitting a considerable amount of power. This isn't a car in my workshop but I came across it whilst subcontracting. How did I miss this, Toddy, QM and Rowan have the following blog. It's full of Flat Track, Cafe and Brat Style bikes. "Old is what you become when you don't do motorcycles"
Grey beards or not, these guys are not ageing! Thank you to Cafe Racer Culture Blog for photo.